Recently, I have become a huge fan of dubstep, which follows a similar pattern to drum and bass. I used to listen exclusively to metal and hard rock. Before I discovered dubstep, I would not go near electronic music with a ten-foot pole. However, the “hardness” of dubstep drew me in, and it has quickly become one of my favorite genres. Due to the “underground” nature of dubstep, finding quality new artists can be challenging, as you cannot just turn on MTV or the radio and hear it played (with the exception of some Skrillex). Fear not, young dubstepper, because I will show you some places to discover great new dubstep. As dubstep gains more popularity, more people will be seeking it out, and I am sure Skrillex cleaning up at the Grammys will help that cause. However, for the time being, you will need to do some digging, and I will be happy to help you in your quest to find the filthiest dubstep on the Internet. Reddit is a great place to find anything, and their dubstep subreddit is no exception. On any given day, you be sure to find at least a few songs that you can enjoy. People will often post YouTube videos from some of their favorite known artists, and you will see many people new to creating dubstep post their own songs. Another thing that makes using Reddit to find your dubstep great is that you can voice your opinion on the songs and see the opinions of others. Being able to voice your opinion makes listening to new music even more enjoyable. In addition, if someone is posting their new music, you can offer them feedback and know that you are helping the dubstep community overall. This is radio for dubstep. Anytime you feel like listening to some dubstep, but do not know what to search for, this is the spot. They are always spinning some great music, and much of it is stuff that you will have never heard before. You can listen with iTunes, Winamp, Real Player, Windows Media Player, Dsfm TV and your iPhone. No matter what program you have installed, you will be able to listen to Dubstep.fm. Their website has a schedule, so you can view when the DJs you like are playing. In addition, they feature YouTube videos of some of the artists they feature. You can also use the archive section to download past performances and subscribe via iTunes, or using another podcast service. It’s a fully featured website and radio service featuring nothing but dubstep. 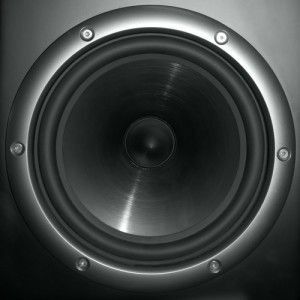 Lots and lots of amateur and professional dubstep artists use Soundcloud as a way to get their music out to the masses. To explore dubstep, simply click on the top of the screen where it says “Tracks.” On the drop-down menu click “Explore Tracks,” on the featured tags section you will see Dubstep, click that and you will see all music on Soundcloud with that tag. You can view music based on how new it is, or how hot it is at that time. Obviously, the new page is going to be unfiltered, so I would expect some of it to be bad, but it could be a good way to discover some amazing music that not many people have found yet. The hot page is where you will probably spend most of your time, as it is what the community considers the best. In addition, on the right side of the page it shows you users who have uploaded dubstep. You can use this to find artists who upload a lot of songs. Our own Tina has been known to throw some dubstep into her weekly Sound Sunday column. Make sure to check back weekly, as not only does she include some awesome dubstep, but she features some awesome free music from other genres as well. Spotify is chock full of dubstep goodness. Of course, you have to have some idea of what you are looking for, and these other resources will help with that. You can also look into the Spotify app Share My Playlists. There are some gigantic playlists that will help you discover new artists. Personally, I listen to this one all the time, as it features a good mix of artists and a wide range of styles. Whatever your tastes, with Spotify and Share My Playlist, you will be able to find a lot of new dubstep to listen to and enjoy. With these resources, you will be ready to listen to all the dubstep you can imagine. As I said before, dubstep is still pretty underground, so finding new stuff to listen to can prove challenging, but with these websites and tools you will become a dubstep master, ready to take on the world with some of the best music out there. What are some awesome new dubstep artists you have discovered using these tools? Leave us your recommendations in the comments! The have alot of good songs, I like most of the songs on there and it seems like the hand pick only quality dubstep songs! Best place to find dubstep would obviously be the lavatory. I like to browse BeatPort for new Dubstep music. I usually end up coughing up the money for a FLAC copy of the songs. AIFF does the job pretty well too. Clearly then you do not know dnb and dubstep are two different things!